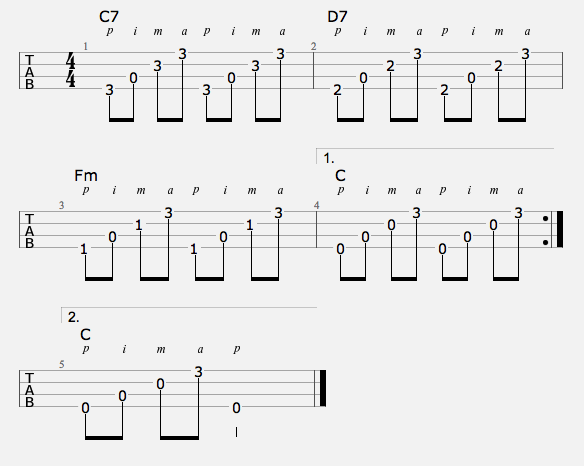 The One Finger Per String Method is the most logical way of arranging your picking hand. Each string is allocated a finger. 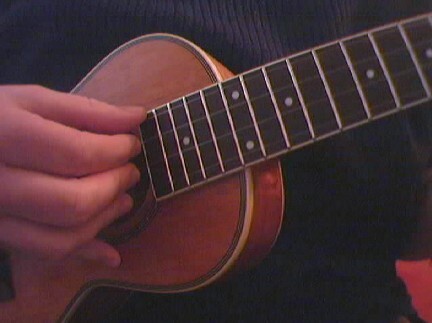 Each string is only played with one finger and each finger only plays one string. As you can see, I use my little finger as an anchor. Don’t copy that! It’s a bad habit. This stabilizes the hand but there is a trade off. Letting you hand hover over the strings will give your fingers greater flexibility and make it easier to switch between picking and strumming. And it means my hand always falls into that position. So whenever I’ve chugging a beer in a manly fashion I’m also raising a delicate pinkie.